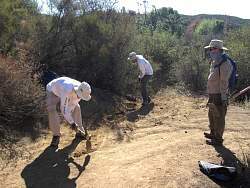 The standard for clearing brush is that the trail corridor (the brush-free zone) should be 8' wide and 10' high. 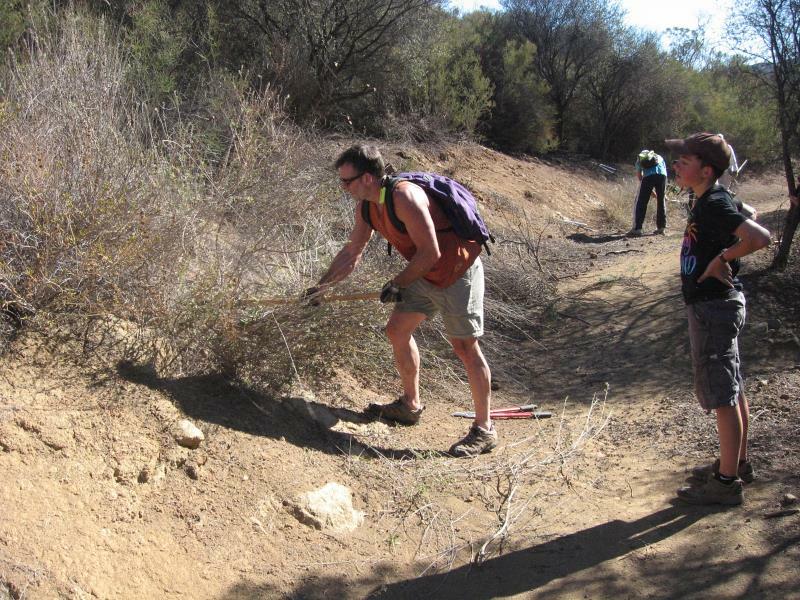 That means about 2-3' at the side of the trail should be free of brush. This helps approaching trail users see each other. 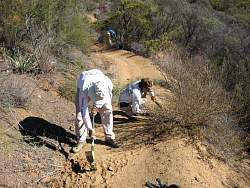 Also, it means that the brush will take a couple of years before it again impinges on the trails since it grows depressingly quickly after the winter rains.